The Chesterfield County Teacher Forum is comprised of educational leaders who were honored as Teacher of the Year from each school in Chesterfield County. These teacher leaders come together to develop leadership skills among its members; provide a chance for teachers at all grade levels to communicate with one another, district, and state personnel; to give educators a voice in issues concerning education, and to improve teacher morale and recognition. The vision of the collective forum is that teachers from Chesterfield County and other areas will see the positive accomplishments that are occurring in Chesterfield County schools and will continue its vision throughout the community. The forum strives to encourage young people to consider teaching as a respectable, necessary profession and to think about joining the Chesterfield County School District. 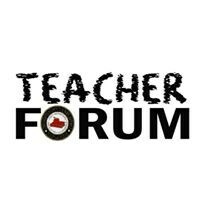 The Chesterfield County Teacher Forum is a non-partisan voluntary organization unaffiliated with any other teacher organizations or groups.